Looking for a Google 360° virtual tour for your business? Contact Paul for an estimate! 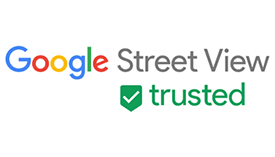 Paul is a qualified member of the Google Street View Trusted program. For the cost of his time, to shoot and publish your virtual tour, you'll have a very useful marketing tool, hosted on Google Maps for free, and displayed in search results listings on Google and Google+ Business Pages. A 360 degree virtual tour can provide your customers with a great way to explore your business and it's interior. Types of properties include: restaurants, pubs, retail outlets, high street stores, gyms, office interiors, car showrooms, indoor and outdoor venues or locations. You can showcase your business interior, enhance your Google listing and... influence your customers decision making with your very own 360-degree virtual tour. Whats included in a virtual tour? High quality 360° virtual tour of your premisess. Google Business places page setup and verification (if required). Help with embedding the virtual tour within your own website or on your Facebook business page. A Google virtual tour increases your visibility on a local, regional and worldwide scale. Google technology brings your business to life on all devices, from desktop to smart phones. Customers can see the virtual tour of your business on Google Maps and Street View. No subscription, no ongoing fees. Free hosting for life! You only pay me for the shoot. Once your tour is live, you can promote it on your website and on your social hubs. Reach lots of potential new customers and they could be at your doorstep in seconds!